The B3 Moving Image Biennal recognizes established artists and emerging talents with the BEN. Non-competitive: Laurie Anderson, who receives the B3 BEN honorary award for her lifetime achieve-ment. The race for the three main awards and the three emerging talent prizes will be entered by artists of the Biennal, who deal particularly innovatively with new storytelling techniques. A top-class jury decides on the best contributions in the categories ”Linear”, ”Non-Linear” and ”Transmedia” respectively. 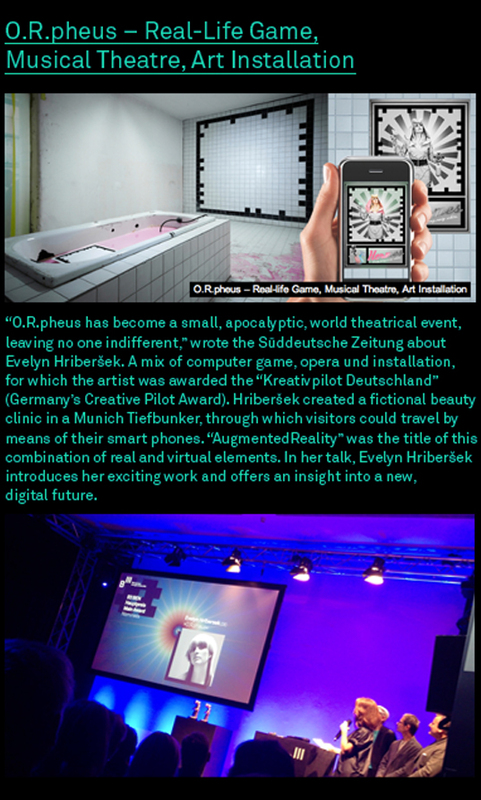 O.R.pheus – Real-Life-Game. Musical Theatre, Art Installation – was nominated for the B3 Biennal Main Award in the category ”Transmedia”. Great thanks to all our fans, friends and supporters!